What is the product warranty for my Genie garage-door product? All Genie garage-door products come with limited warranties that protect the original purchaser against defects in materials and workmanship. Refer to your owner's manual for details. How do I get service under my Genie warranty? For warranty parts and/or repairs, have available your model number and a copy of your original sales receipt. Then, contact Genie Company Customer Service about the problem you are having. A trained Genie representative will help to diagnose the problem and/or will ship you the necessary parts to complete the repair. Note: A shipping and handling fee will be assessed on all parts orders. 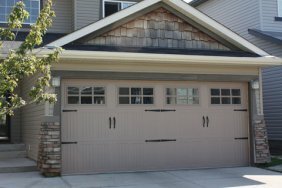 How do I purchase, repair or replace parts for my Genie garage-door product?